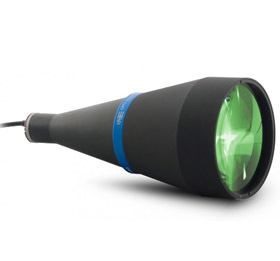 COMPLETE LIGHT COUPLING: all the light emitted by a LTCL source is collected by a telecentric lens and transferred to the camera detector, ensuring very high signal-to-noise ratios. BORDER EFFECTS REMOVAL: diffused back-illuminators often make objects seem smaller than real because of light reflections on the object sides, while collimated rays are typically much less reflected. FIELD DEPTH AND TELECENTRICITY IMPROVEMENT: collimated illumination geometry increases a telecentric lens natural field depth and telecentricity far beyond its nominal specs.